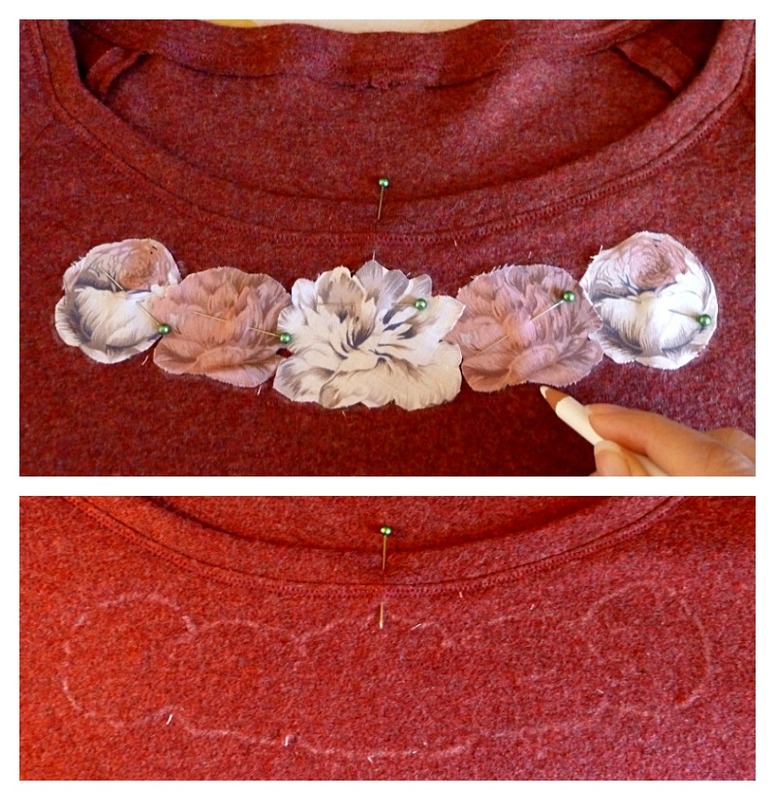 After this post, I had a handful of emails from readers asking me about appliqué, so I figured a quick tutorial was in order. I'm not an appliqué expert by any stretch of the imagination, so this is just me showing you how I did it. I also apologise in advance for the quality of my pictures. I took photos as I went along and the lighting wasn't great...I blame these darned winter days! 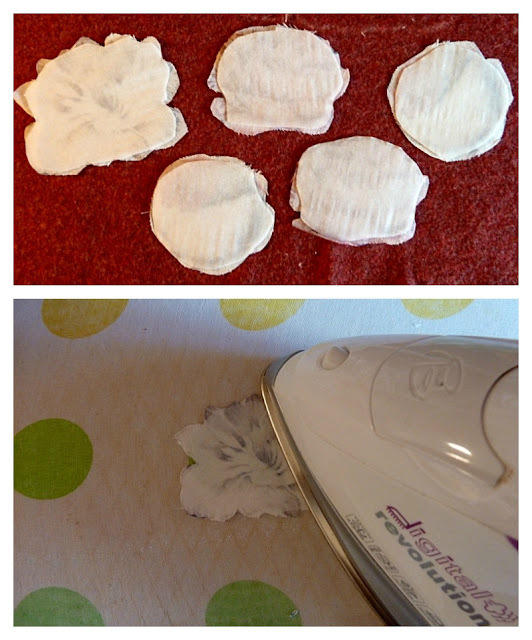 Start by cutting out your fabric shapes - you can also use your fusible web to trace shapes out instead if you need to (good tutorial for that here). Pin your fabric shapes to your item, to make sure you're happy with the placement, proportions and so on. Because my arrangement is made up of overlapping layers, I deemed it safer to lightly sketch around the outline with some chalk. With the shiny / grainy side of your fusible web facing up, cut it out a touch smaller than your fabric shapes. I found it easier to do this by holding my fabric shapes against the fusible web, instead of pinning them down. With your fabric shapes wrong side up and the fusible web shiny / grainy side down, fuse the two together by ironing them. Set your iron to a lighter heat (I had mine on the wool setting) and press it down on the shapes for about 10 seconds. You can't go wrong as long as you just make sure that you're applying the heat to the smooth / papery side of the fusible web. Once the fabric and fusible web are firmly fused together, peel off the papery back. Grab a damp cloth, place it on top of your fabric shape and iron it onto your item of choice by pressing it down for about 10 seconds again. I found my chalk outline really helpful at this point! Once everything is nicely fused, zig-zag stitch around the outline of your appliqué design to ensure everything stays firmly together...forever!?! At this point, even though your fabric pieces are fused to your item, I would recommend pinning them down whilst stitching. I didn't do it myself and I do regret it, because some of my pieces ended up moving around a little. Nice tutorial! I am trying to applique a singlet to match some nappy covers I made Imogen but I am not that good at it. I bet you are good at it Kat, you're so creative and talented! Thanks for the very thoroughly written tutorial! 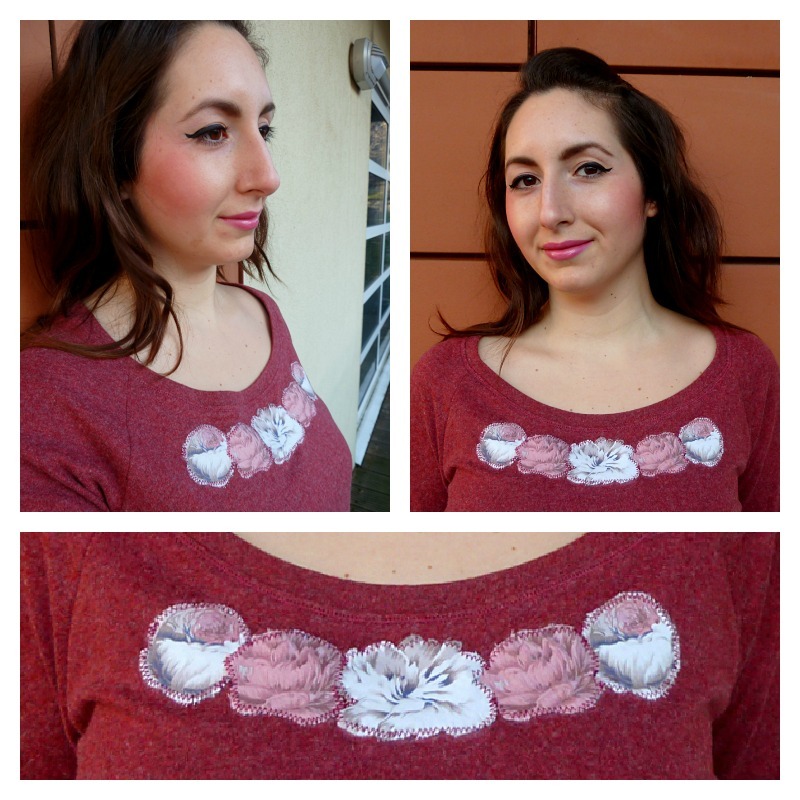 I've never tried appliqué but you convinced me I should!. The only thing I'd make differently would be stitching the appliqué by hand. Thank you and I think stitching it by hand would definitely give it a neater look! You have way more control than you do on the machine! Thanks, glad you find it handy! Thanks Tiffany, this is a great tip! Lovely, thanks for the tutorial! That is very sweet! Must try this one day.